Linyi Hengyu Import and Export Co., Ltd. In kitchen: cleaning dishes, glasses, pans, pots, ovens, tile floor, greasy and dirty porcelain etc. 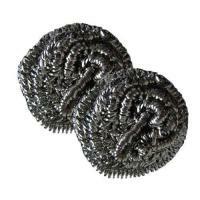 In industry: cleaning dirty oil parts, dusty parts, dirty surface of any machine. 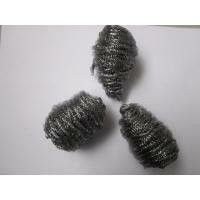 We mainly manufacture and supply stainless steel scourer, galvanized scourer, stainless steel scrubber,steel scrubber, flat scourer, mesh scourer, dish washingscrubber, scrubbing wireworld widely and also supply scourer making machine, wire hanger machine,clothes hanger making machine, as well as material for scourer such as stainless steel wire and galvanized steel wire etc. With good quality, competitive price, approving services, our products have been exported to many countries and regions, such as India, Thailand, Jordan, Iran, Mid-east and Africa etc. and had friendly recommendation from customers to customers. 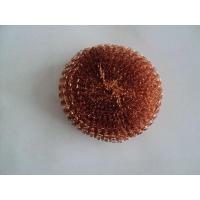 At present our mainly trading products are: stainless steel scrubber, stainless steel scourer, ss410 scourer, ss430 scourer, galvanized scrubber, galvanized scourer, mesh scourer, flat scourer, steel scourer, scrubbing wire. All these products widely and commonly used for household cleaning. They are easy to use and commonly matching with almost cleaning powder, cleaning liquid, especially for washing of utensils for removing tough stains of turmeric or burnt food products. They are Eco-friendly and economic, can be use one-off or recycling as your like. In addition, we can serve as the customers request for sizes, packing, shipment, as well as material supply etc. Linyi Hengyu Import and Export Co., Ltd is one professional household cleaning products manufacturer. 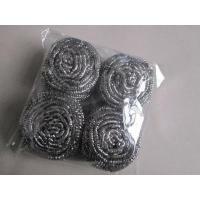 We mainly manufacture and supply stainless steel scourer, galvanized scourer world widely and also supply scourer making machine and wire hanger machine, clothes hanger making machine, as well as material for scourer such as stainless steel wire and galvanized steel wire etc. With good quality, competitive price, approving services, our products have been exported to many countries and regions, such as India, Thailand Jordan,, Iran, Egypt, Korea, Mid-east and Africa etc and had friendly recommends from customers to customers. Welcome customers to contact us for trading.